JN5168 is a ZigBee and IEEE802.15.4 wireless microcontroller with 256 kB Flash, 32 kB RAM. 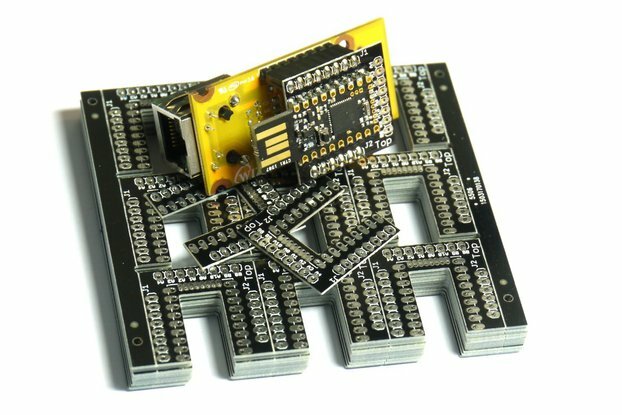 It comes in a module that has SMD pins, and it needs a breakout PCB to make it easy to prototype with this module. 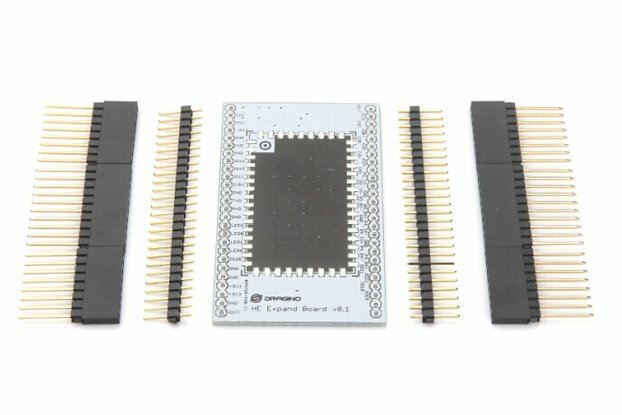 This is a breakout PCB KIT for JN5168-001-Mxx modules. This module has a hard to use SMD pinout and this breakout PCB makes it very easy to use all the pins on the module. The KIT also includes the components needed to place the JN5168 module in programming mode. This is the version 2 of the PCB that has a BUG that reversed the RX and TX pins on the FTDI pin header. 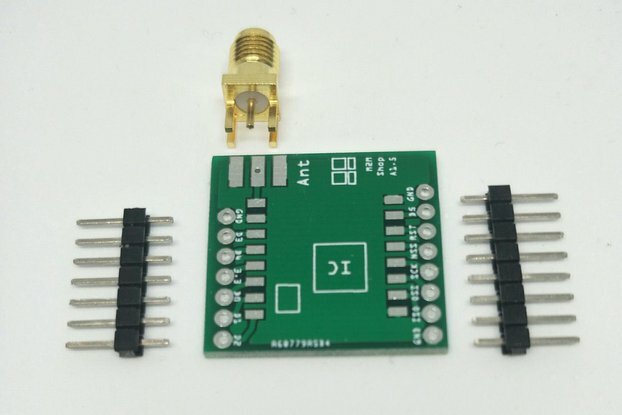 Please do not use this header to plug an FTDI basic breakout board directly. Use jumper wires instead to direct the signals to the correct pins. In the latest version (updated 2017/12/13) we replaced the 6-pin female header for a 6-pin male header. 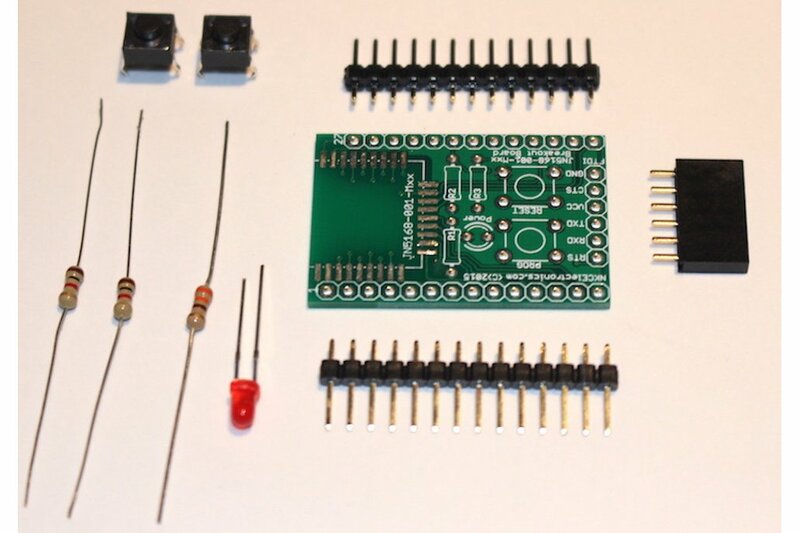 Please visit our assembly guide page for instructions on how to solder this KIT and use the PGM / RESET switches to place the JN5168 module in programming mode.